When you hire the services of Herron House Flowers you will have direct access to the genius of John, the master florist at this company. 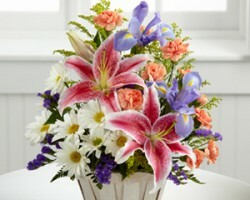 For over three decades this expert has been creating all kinds of arrangements for clients throughout Greensboro. 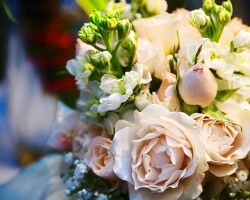 While John is able to cater to any floral needs, reviews continually mention just how breathtaking his work with weddings is. Knowing you can be absolutely sure your flowers will be perfect will take away a great deal of the stress when it comes to your big day. There is no other local service offering flower delivery in Greensboro that comes close to the quality provided by O’Connor Blossom Shop Inc. This company has been able to achieve this standard by always putting their clients first. As they have been providing this service and only the freshest flowers since 1948, you will feel completely at ease putting your wedding arrangements in their hands. As they will do everything from lavish centerpieces and bridal bouquets, you won’t need to go anywhere else for your flowers. 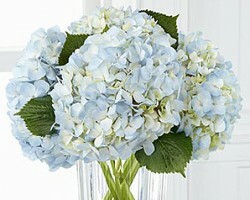 Amongst the florists in Greensboro, NC, Plants and Answers provides an incredible service. 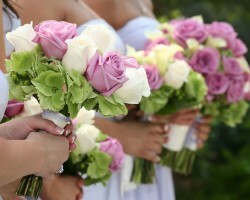 Every aspect of this company is designed to make ordering your wedding flowers as easy as possible. The experts at this company have a collected experience that spans decades and they are ready to provide you all of the advice and assistance you could ever need. As Plants and Answers have been providing this service since 1976 you can be sure that these are the real professionals. The Garden Outlet is actually a full landscaping company that has expanded to provide affordable yet wonderful wedding services. As these experts started in creating gardens and tying everything together they have all of the necessary skills to create flawless décor for an entire wedding venue. They meet with each North Carolina couple and discuss their tastes, budget, color scheme and personalities. 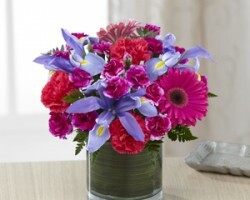 From this information they craft a range of beautiful arrangements of the highest quality of flowers in the state. While there are many flower shops and various floral services to choose from if you will settle for lower quality, there are very few that cater for luxury. There are some couples in Greensboro that appreciate a service that only selects the freshest blooms, is committed to true quality and works to make their arrangements completely customized to the couple’s specific tastes. Don’t settle for anything but the premium Greensboro florist and go straight to the team of floral experts at Court Square.